Like most of us, filmmaker Angie Ruiz has a favorite dog breed, the Rottweiler. She was so in love with the versatility of these gentle giants that even made a movie about them, called Black Beauty. Shortly afterward, she got the pet cancer education she never wanted, when her own Rottie was diagnosed with osteosarcoma. 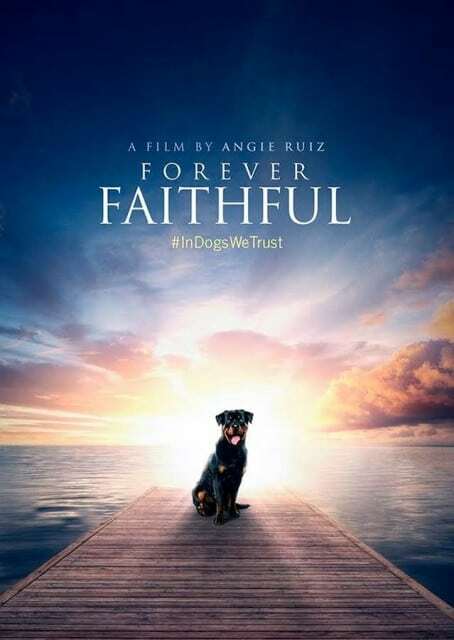 The diagnosis led to the making of the “Forever Faithful” dog cancer movie, now available on DVD. Whatever your favorite breed, be sure to get a copy of this touching movie. Whether you’ve been down the osteosarcoma road or not, every pet parent should see Forever Faithful. The movie isn’t just a memoir about Ruiz’ own experience with her own dog, but it dives into many aspects of dealing with the disease that touches so many of the animals we love. From the oncology vets who treat cat and dog cancers, to the rehab therapists getting pets back on their feet, Forever Faithful explores the journey through cancer and amputation, while sharing glimmers of hope with the audience that some day it may be cured. FOREVER FAITHFUL–TRAILER 1 from Angie Ruiz on Vimeo. The movie is lovingly narrated by Samson’s human sister, but isn’t just about their journey alone, and it’s not just about the Rottie breed. It’s a touching exploration of how this cancer can affect all our dogs and what’s being done about it. Order your Forever Faithful DVD, grab a box of tissues and some dog friends who understand the heartache of a pet cancer diagnosis. It’s only on DVD now but according to the movie’s Facebook page, should be on Amazon Prime, Google Play and itunes soon. oh wow, even just that trailer has me in tears! I need to watch this. I have it but was waiting 🙂 I will love. I have the first one and it was a great movie.